U.S. Army Capt. 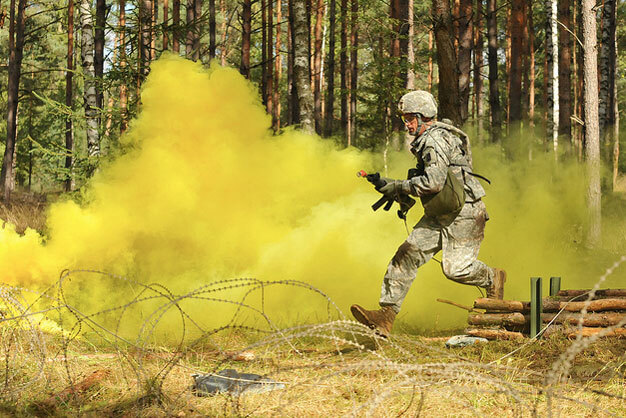 Christopher Harris, assigned to 10th Air & Missile Defense Command, moves through an obstacle during U.S. Army Europe Expert Field Medical Badge examination in Grafenwoehr, Germany, Sept. 20, 2012. U.S. Army photo by Visual Information Specialist Gertrud Zach.